HEAVILY REDUCED!!!! 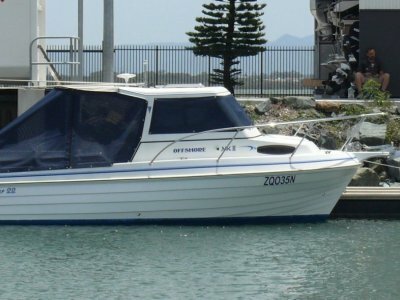 This Steber Persuader Offshore 2200 with a diesel engine and bow thruster, will suit those considering new boat purchase. She has seen minimal use since sellers took ownership in October 2017. Current circumstances demand the vessel is to be sold and she is here on the racks at . . .
What a fantastic vessel. This Gull Wing Tri Hull 8.8m Full Cabin was built for serious fishing, be it in the bay or further afield offshore. By all accounts, she is very stable either at anchor or underway. Safety all round and internal room for the longer trips. A number of smaller models were . . . 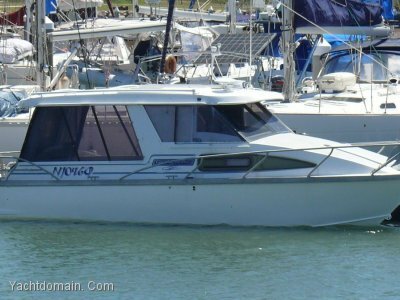 The Mariner 3400 Flybridge is without doubt one of Australia's best value Diesel Cruisers. This 1988 model is fitted with Twin 200hp shaft drive Volvo diesels with under 1400 hrs, and a Seagen 5KVa genset. 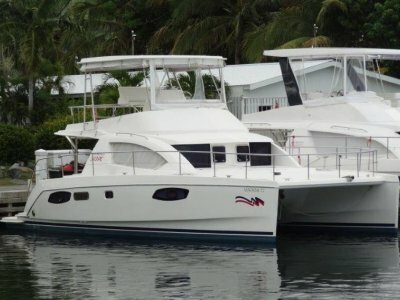 She is loaded with quality inclusions, and this vessel has recently had the bimini, . . . 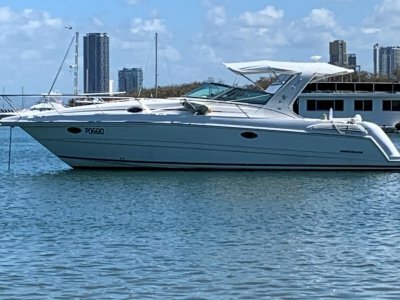 This luxury Mustang sports cruiser is now available and ready to take on that weekend trip to Bribie Island and beyond. It features all the comforts of home and will suit even the most fastidious buyer. Some of the key features of this beautiful vessel include, twin double beds, Marine toilet and . . . The Leopard 39 PC is an innovative, efficient and spacious yacht that takes the best features from the popular Leopard 47 PC to bring you an exciting midsize catamaran with many of the features of a much larger yacht. Features of the Leopard 39 PC include a spacious raised flybridge with helm . 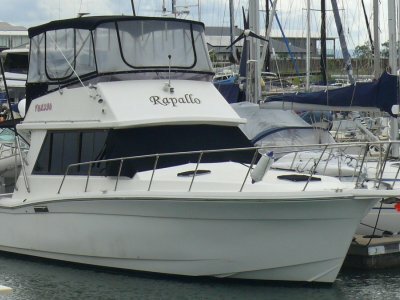 . .
Roberts Waverunner 40 Flybridge Aft Cockpit Cruiser. We are pleased to be representing sellers in the sale of their Roberts Waverunner 40. 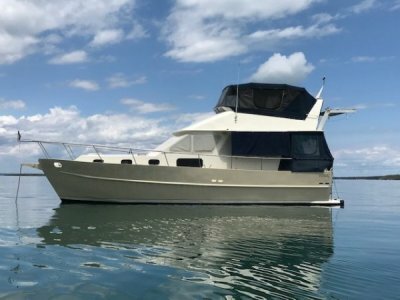 She has been well built and has seen many recent upgrades and has been well cared for by current owners as the photos attest to. The vessel will suit a liveaboard couple who have travel in mind without the . . .